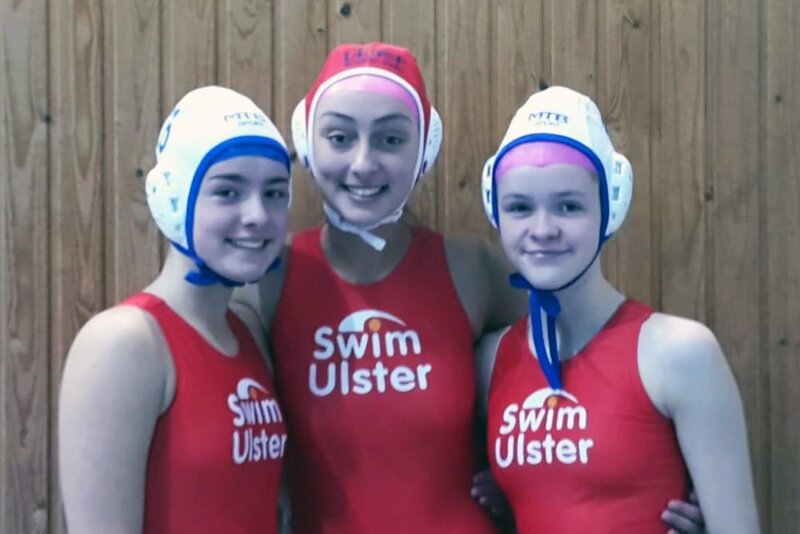 VCB girls, Team Captain Meabh McGurk (Diamonds Waterpolo Club), Tegan McGurk and Ciara Mc Kee (Cathal Brugha) represented the Ulster water polo team in the Irish interprovincial tournament that was held at the Bangor Aurora on the 2nd and 3rd of November. The girls won gold after defeating Scotland and Leinster in the play offs. Ulster won the U15 girls tournament while Leinster won the Under 15 boys and both under U17 boys and girls tournaments. Congratulations to Meabh, Tegan and Ciara on your achievement! Posted on November 15, 2018 by Heather Dornan Wilson and filed under Sport and tagged Water Polo VCB.